This is crochet baby girl set, made to fit a Newborn girl up to 21 inches (54 cm body height), up to 2 months age, weight 5-8 lbs. (2,3-3,7 kg). 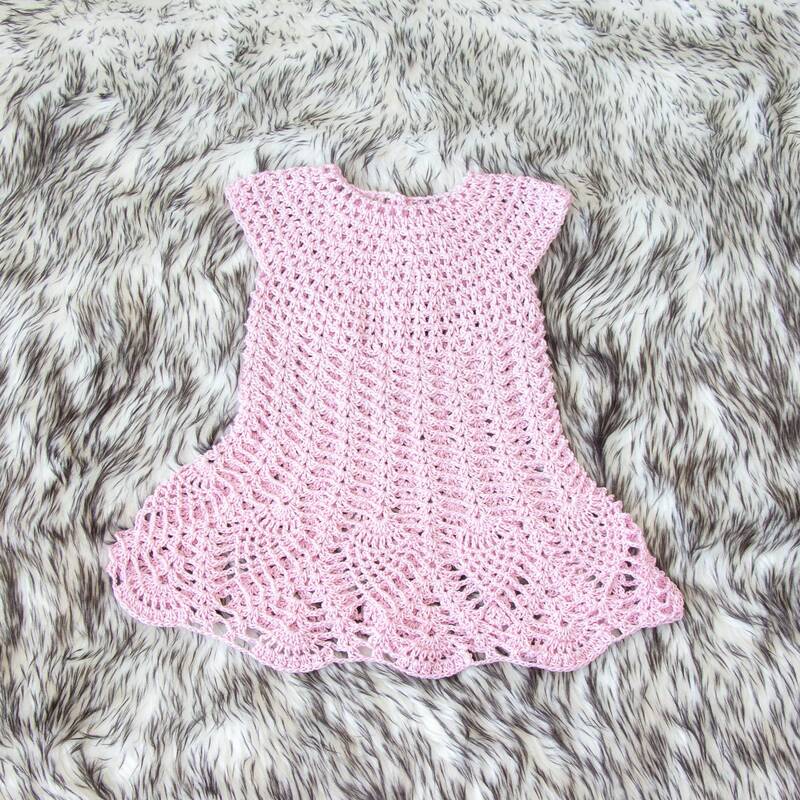 This lovely Baby Dress Set is hand crocheted using cotton threads. Hat and shoes are decorated with white flowers.